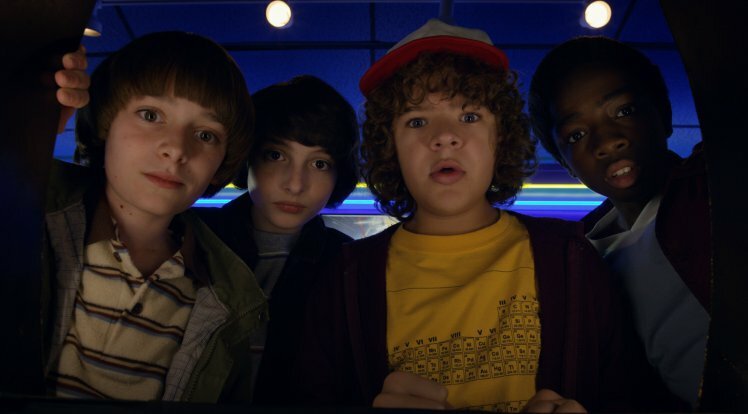 It’s been five months since season two of Stranger Things finished, and though we may have to wait a little while longer for season three, the show’s creators certainly know how to keep fans’ attention. Producer and director Shawn Levy recently confirmed filming of season three is now underway and, not ones to do things by halves, details of new additions to the cast have also been revealed. One of the most notable additions will be Maya Hawke, the teenage daughter of Uma Thurman and Ethan Hawke. While Priah Ferguson – who’s already been stealing scenes in the show as Lucas’ younger sister Erica – has been upped to a recurring role, reports Variety. Older than the core members of the cast we’ve come to know and love, Hawke, 19, will play an ‘alternative girl’ who’s bored with her mundane day job. If you think you recognise her, Hawke recently appeared on our screens as the lead in the BBC‘s adaptation of the classic novel Little Women. Ferguson, meanwhile, is no (pardon the pun) stranger to the world of Stranger Things, and has obviously made enough of an impression on the producers, as well as fans of the show, to be promoted to a more regularly, recurring character. In the new season, Ferguson’s character, Erica, will return with her own group of friends. No longer the little sister left at home, Erica and her gang find themselves on a wild mission to save the town from a dangerous new threat. Other recent additions to the cast are Cary Elwes (Days of Thunder, Robin Hood: Men in Tights) who’ll play the town’s sleazy mayor, and Jake Busey (Starship Troopers, From Dusk Till Dawn) who portrays news reporter Bruce, who has rather questionable morals. In other good news, all the usual gang are set to return for season three, and though plot details are understandably sparse, we know a fourth season has already been commissioned, indicating the majority of favourite characters should make it through season three in one piece. My beloved Willa with baby goats. I mean I will say we have a good sense of stuff that happens in season four, which is definitely happening. There’s very much the possibility of a season beyond that one, that’s currently undecided. And what I would say is part of the chaos and fun of this particular show is that while the Duffers and the writer’s room and we producers outline the entire season, the Duffers really use the writing process to revisit, reassess and question all of their prior assumptions. 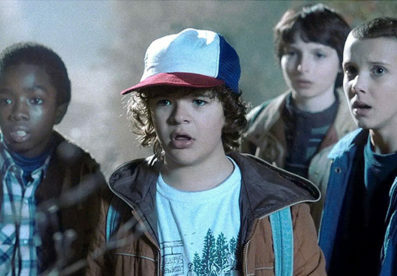 In the meantime, we’re keeping our eyes peeled for more insight into the strange world of Hawkins and its inhabitants.